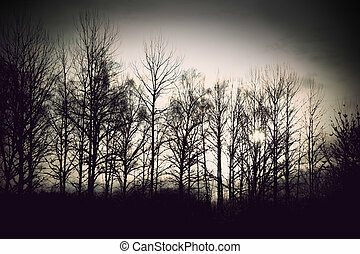 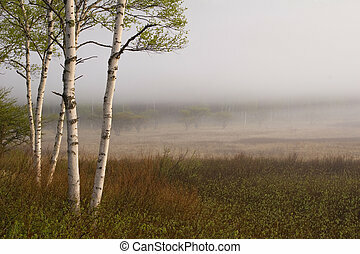 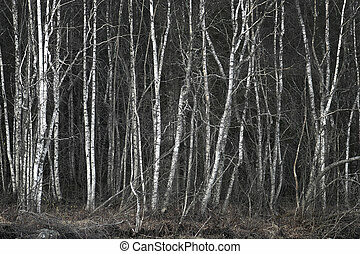 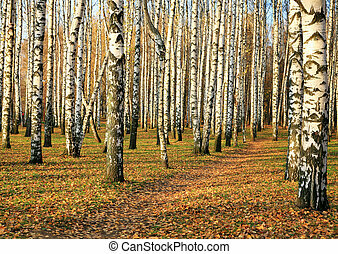 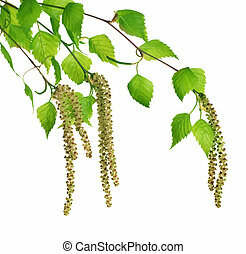 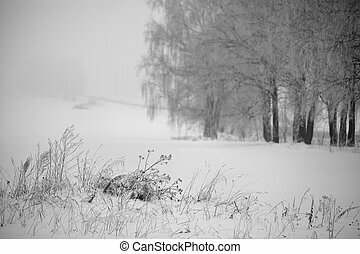 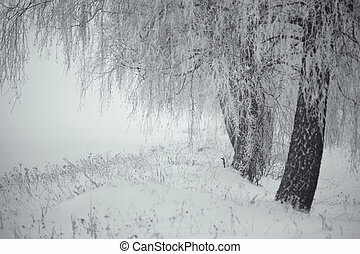 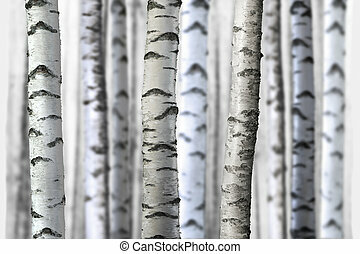 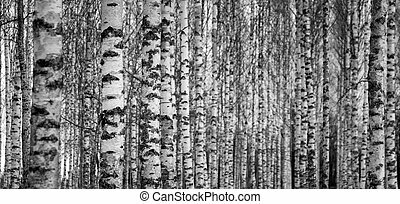 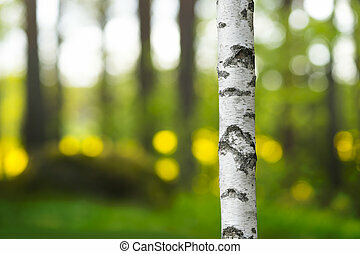 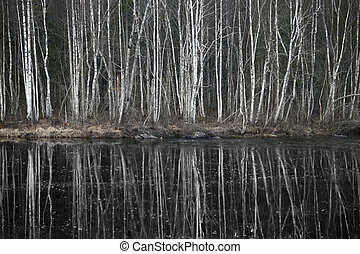 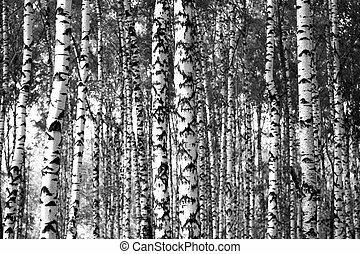 Birch trees in black and white. 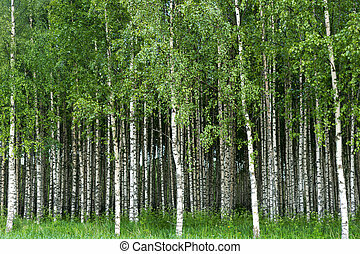 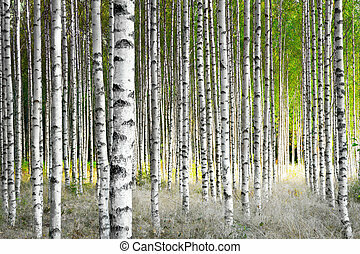 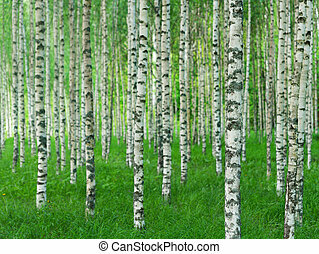 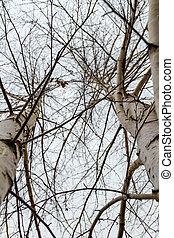 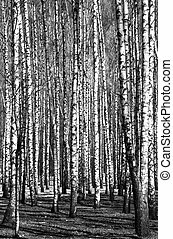 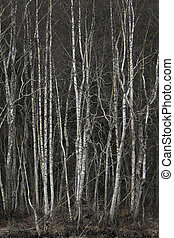 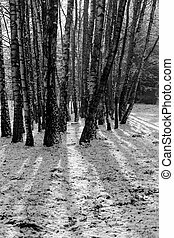 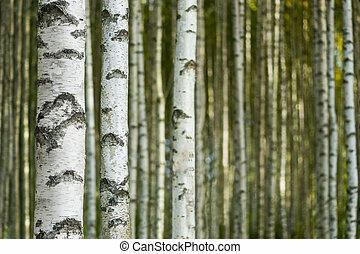 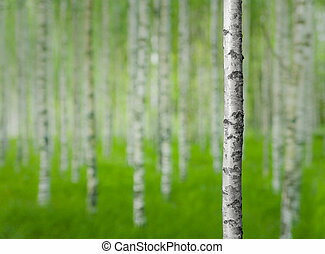 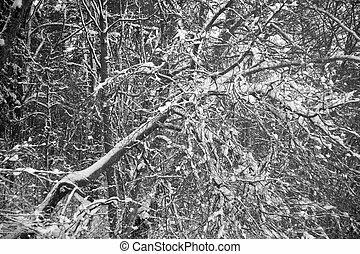 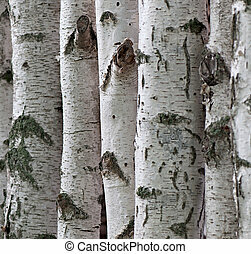 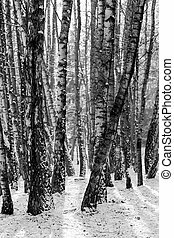 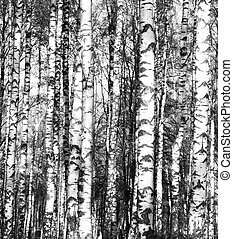 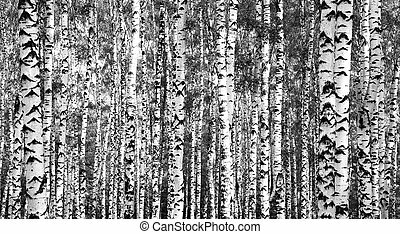 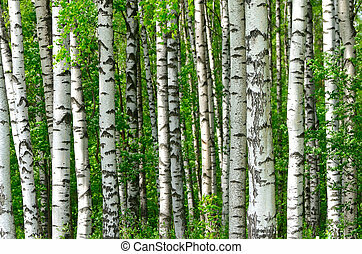 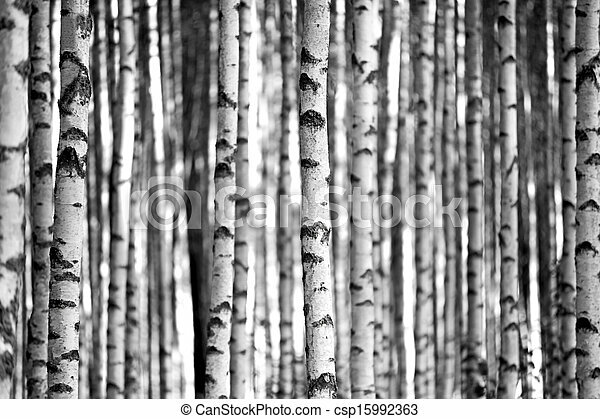 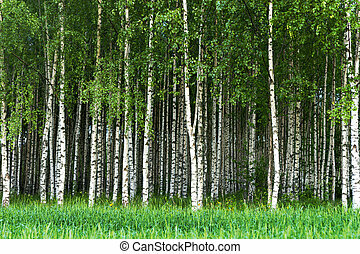 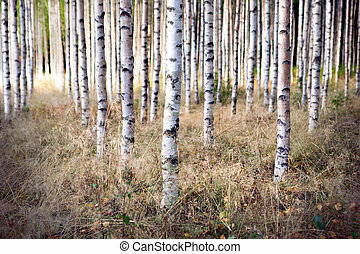 Trunks of birch trees in black and white. 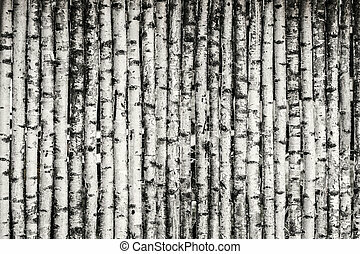 Fence made of young birch trees in black and white.